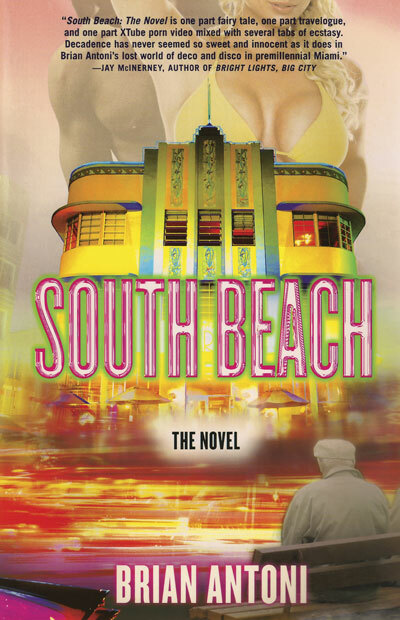 If you lived in South Beach from roughly 1987 to 1997 — during those transitional years when the area was no longer God’s Waiting Room but not yet Developers’ Heaven; when the low rent buildings were populated by unemployed artists, barely employed writers, drag queens, drug dealers, Holocaust survivors, fashionistas, club kids, refugees from wherever, wannabe whatevers, plus the glut of trend-sniffing celebrities who kept it all unreal — then this book will bring back everything you’ve forgotten. Which is likely everything; the drugs were better then. Fortunately author Brian Antoni, who moved to SoBe in the late Eighties and researched Miami’s hottest nightspots for the next 20 years, did remember all, thanks to a secret weapon: a pad in his pocket. And he tells all in this novel, with charmingly ingenuous prose that perfectly evokes the oddly innocent decadence of the era. Disclaimer: Resemblance to any real people, living or dead, is purely coincidental. Hah. Figuring out the real identities of the thinly disguised rapacious real estate moguls, crooked politicians, and other local icons is half the fun.